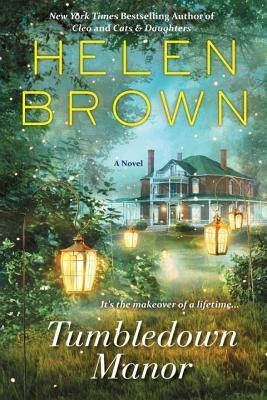 Why I Picked This Book: A falling down old house is my kryptonite. I cannot resist them! My Impression: This book wasn't what I was expecting. Going in I was expecting a contemporary romance but set in Australia and I got a lot less romance and much more story about Lisa herself. This isn't a bad thing it was just a little different than I expected. I like Lisa quite a bit. Her fun 50th birthday surprise party turned into something rather awful and sent her scrambling to figure out who she was and what she really wanted. What she wants is to go back to Australia, closer to her son and her sister but where she hasn't lived since her marriage 20+ years ago. She's intelligent and a bit of a reformed free spirit who is writing a trilogy about the Bronte sisters but in a much more historical romance sense. She is also a breast cancer survivor and getting used to her life post-mastectomy. Her life in Australian isn't exactly all unicorns and rainbows as the history around her old family home is obviously not very pleasant but no one will tell her exactly what it is and figuring out all that needs to be down to the old house is an impressive task on it's own. Her struggles with her writing are very much a part of the book as she tries to figure out Emily's story and not let her concern for her daughter Portia, who halfway around the world is refusing to eat and becoming more and more standoffish, take over. The side characters are more developed and flawed than I would have expected. Lisa's relationship with her sister is complicated and it would be so easy to make her a villain but instead there are flashes of kindness and support and I saw her as more protective than bad. This was the same with the majority of the characters and added more depth to the novel. I didn't understand her reaction to Scott after their first meeting. She seems oddly hostile to him at times though he's proven time and again that his intentions are good and that he is clearly helpful. She'll be all fine with him helping her or working on a project and then turns around and slaps him down for what seems like no reason. I also didn't enjoy the Portia subplot. She's really hard to like for the majority of the book and it seemed to wrap up a bit too quick. However, I did understand why Lisa was trying so hard to make the relationship work. I loved the sense of place in this book. It felt like it was really set in Australia versus Anytown,Anywhere that was just labeled Australia. Between the fires, floods, and sometimes hostile wildlife there was never a dull moment. And I loved how blase Brown is about driving past kangaroos. I also really enjoyed the Afterword where Brown explains her inspiration for the story. It made it feel much more personal. I very much enjoyed this book despite periodically wanting to drown a character or two and wanting to sit down and have a good talk about mixed signals with Lisa. It's an unusual story with a very unusual main character who is unusual because she seems so normal and just someone you'd really know. Would I Read More of this Series/Author? : I would. I really enjoyed the author's voice and her ability to really flesh out characters. Would I Recommend this Book? : Yes. If you enjoy books about character growth I think you'd enjoy this one. Well you made me curious about this one! I'm big on character growth and development, so it sounds right up my alley. Think I'd enjoy the setting, too. Houses with personality are my kryptonite, too! Have you ever read Tuesdays at the Castle? It's a children's book, but it has a very special, totally awesome castle with so much personality! I like reading books about Australia and it sounds like this one was pretty authentic. The Melbourne countryside part got my attnetion, and the one eyed cat sounds fun too. :) Glad it was a solid read. Nice that it had lots of depth too. I can see why you were expecting more of a romance based on the blurb. And the cover made me think "mystery"! But it sounds from your description as though it's more general fiction. I'm glad you enjoyed it, and I think I would enjoy it too---especially the Australian aspects. But since I'm not feeling like "omg, I've GOT to read this book", I think I'll pass for now. This one sounds pretty good. I always cheer for a woman to rediscover herself and go on a better path. Yes, The Queen of the Night is a little over 530 something pages, but it was such an adventure and a great glimpse into that time period. "I very much enjoyed this book despite periodically wanting to drown a character or two " LOL!! It is good you still enjoyed it despite that. I like character growth so I might enjoy this -plus I love that cover - Great review! Hmm I like character growth and tumbledown houses being fixed up. I don't like when characters are more obtuse than necessary! However I think it is my kind of read. Ooo interesting! This sounds good, and I love that the Australian setting felt authentic. I too have a thing for old house settings and you surprised me with the Australian setting. I am ok with a light or non romance. I added this one to my list! LOL they're my kryptonite too! Hrms on her behavior towards him, though. That always drives me crazy if there's not a good explanation for the behavior. I would read this one just for the Australian setting. I think I can forgive character blemishes for that. Sounds like an overall good book, despite the occasional character annoyances.